Hello, there, Happy Aloha Friday! 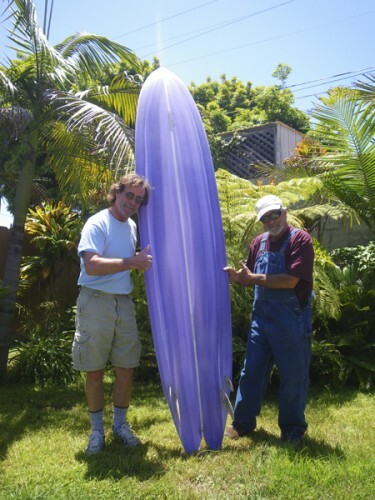 Here are Steve and Dr. Livingstone with the new 9′4″ twinzer winger swallow tail channel bottom that Steve built for him. Did we say “Bells and Whistles?” this special board is over the top. 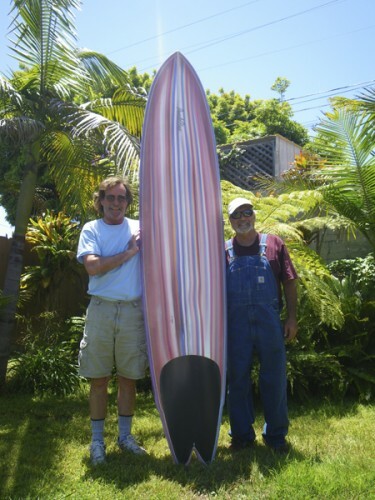 The dimensions of Dr. Livingstone’s new Pendoflex are: 9′4″ x 22-1/4″ and the board also features beautiful custom wood fins with templates designed by Steve and foiled by Daniel Partch. 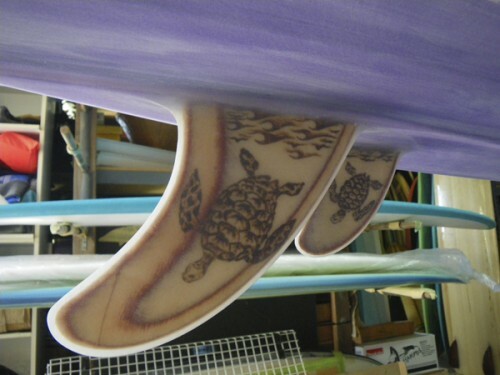 Daniel also did exquisite wood burn artwork of sea turtles on the inside foils of the fins. The board will eventually have pen-and-ink artwork on the deck also, but swells south of the border are calling so the art will come later. So stoked! Aloha and Cowa-flexit! 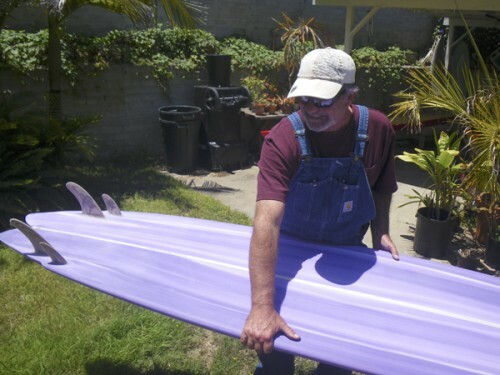 3 Comments on "New 9′4″ Pendoflex twinzer for Dr. Livingstone"
Oooh, I so adore that the color scheme is purple! It looks like a perfect board and aesthetically pleasing as well.